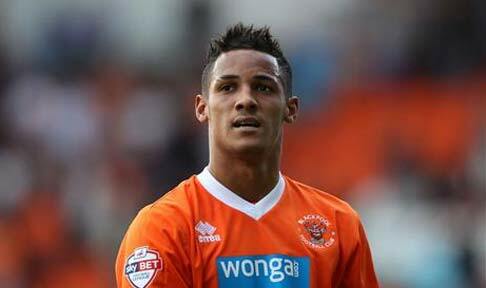 Are Newcastle the unnamed Premier League club in talks with Tom Ince? Words by Kevin Doocey on January 28, 2014 . As the transfer window ticks towards its conclusion, Newcastle fans are saying their goodbyes to Yohan Cabaye as the French midfield maestro seals a dream move to PSG. The fee in question for Yo is reportedly an initial £20m, with another £3m in add-ons based on performances and achievements. His move was inevitable and we wish him the best of luck with the French outfit, thankfully we do not have to face him in the Premier League any time soon. Anyway, this brings me to Tom Ince. The English international is in talks with a handful of clubs this January ahead of a possible move, with Stoke City, Sunderland, and Swansea three known interested parties. The other mega-rich club in France - Monaco - have also expressed an interest in signing him, however they plan on commencing talks in the summer when the 21 year-old is out of contract. SkySports News (who else?!) are running a story that Ince is due to meet one more Premier League club before making a decision on his future on Thursday, right before the window enters its final day. I have a sneaky feeling that Newcastle could be this mystery club, having expressed a desire to sign him in previous windows. I watched Ince in a hugely disappointing U-21 European Championship last Autumn and he was one of few shining lights for England in that tournament. He offers close control, a burst of a pace, and he’s also a fairly tidy finisher. I liked what I saw in his appearances in that competition/stage and he has also pretty much scored a goal every three games for Blackpool — not bad for a winger. Alan Pardew is determined to bring in more English faces, and although Luuk de Jong is on his way to the club, we could very much do with another outlet up top. Signing Ince for a minimal fee could turn out to be quite the acquisition. He has great potential and fits the infamous blueprint at Newcastle United. Call me deluded, or overly optimistic but I just get that feeling that we could in the midst of those negotiations for Ince, and I certainly hope so. Swansea, Sunderland and Stoke are all conversing with the ex-Liverpool man, we should be in there too, no excuses. Comments welcome as always folks, and shoot us a follow on Twitter @KevinDoocey if you fancy it.